Want this item tomorrow, Thursday 25th April? Order within the next 3 hrs 3 mins and choose Next Day Delivery during checkout. 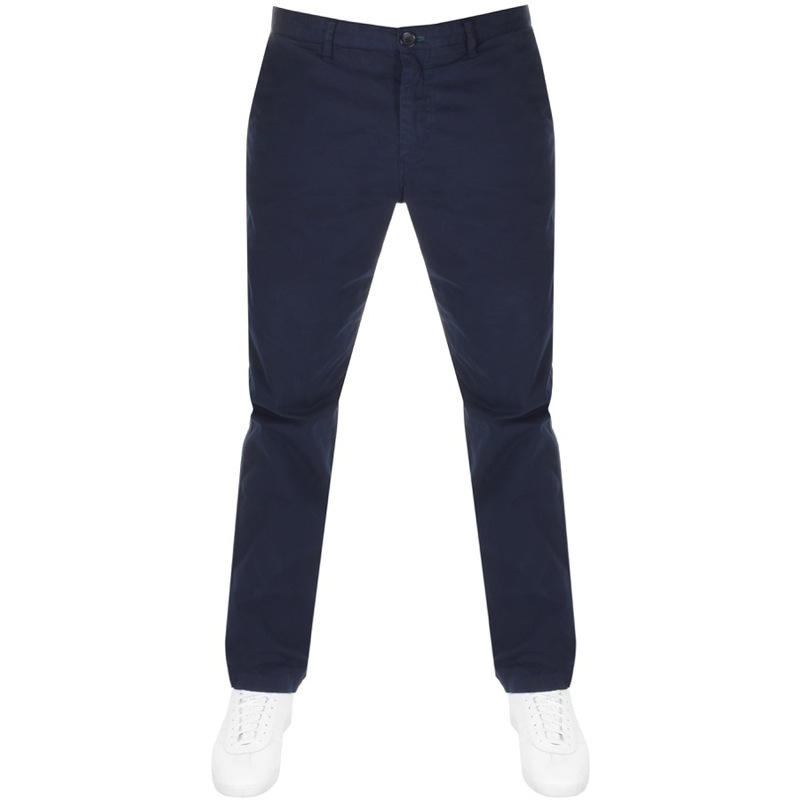 PS By Paul Smith Chinos In Navy, A full metal zip fly with top button fastening at the waist featuring contrasting green stitching around the button hole. Six belt loops and two pockets at the hips with two additional button fastening flap pockets on the reverse. The signature Paul Smith logo patch is situated above the right reverse pocket in black and white. Please note these trousers are only available in a 32 inch regular leg length. 98% Cotton and 2% Elastine. Fantastic Design PS By Paul Smith Shorts And Joggers Live Online.